Does anyone have any experience with TEP and their rebuilt engines? Just wanted some feedback or experiences with them in general. Thanks! they helped me with my motor. I absolutely love it. I drove a car with a recent TEP rebuilt, it was a torque monster, the owner was pretty happy with it. They do great work but good luck when it comes to customer service. Worst Ever. Thanks for the feedback! Their prices seem reasonable and it is nice that they do everything inhouse. Top End Performance put together all the pieces, as well as provided advice, for the performance build of the CIS 2.0 liter engine in my '78 320i. I think that the 284 degree cam has a bit more lift and duration than advertised, and this is only a guess based on the loppy idle and lack of much torque at low rpms and a bit of flutter of the air metering of the CIS. The engine is fantastic, and the car is a blast to drive at high speeds... uses no oil, and pulls nicely for an M10 with mild performance upgrades and 9.5:1 compression. A fellow I work with bought his JE pistons form TEP and had a good experience when his converted his 1.8 liter to a 2.0 liter in a 318i. steve has been doing my engine work for like 20 years...wow has it been that long? they do great work. it aint cheap but its great! I bought the forged pistons for my S14 2.5 build from them. Pricing was fair and service was good. i just bought a set of JE pistons, 3 angle valve, ARP head studs, cam regrind, from top end performance i havnt finished assembling the motor but looks like they did a pretty good job. 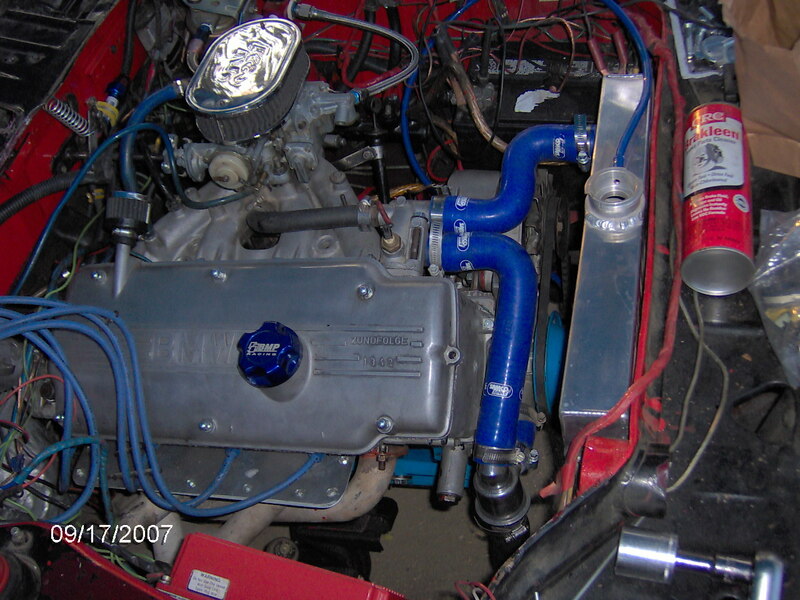 although it wasnt cheep its going to be a killer motor and Steve layed out all the options. 2002's are very primative vehicles and thats why we love them but you still need to do your homework i think Top End Performance helped me spend my money correctly. primitive is right!!! and it rocks... i been at the junkyard for the last 3 days...no m10s to be seen and i really dont like the look of the m20 ....too much intake manifold and it aint pretty....plus the dizzy in the front...but thats whats gona go into my 318i at some point..